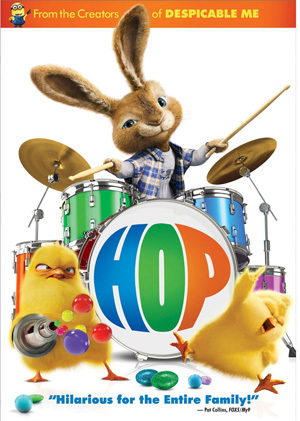 Watching Easter themed movies is one of the most popular ways to celebrate the Easter holiday, especially with kids. 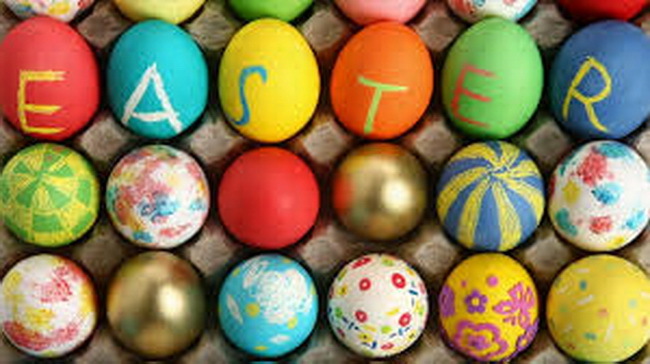 From the Easter Bunny to eggs and parades, Easter movies are always a fun to watch. Most people can easily list their favorite Christmas, Thanksgiving and other major holiday movies. But when it comes to Easter holiday, they may find it a little difficult to introduce and say out a popular Easter movie. Actually, the holiest holiday of the Christian calendar has spawned numerous adaptions of the life, death and resurrection of Jesus Christ. There’re quite a lof of wonderful and inspirational Easter themed movies out there for you to watch with your kids, family or friends. Below is a Top 10 Easter Movie list as a reference for this Easter holiday. In this live action (with some animation) film, E.B. (voice of Russell Brand) is the son of the one and only Easter Bunny (Hugh Laurie). E.B. has to have the sweetest life ever, but he has a passion much stronger than his sweet tooth: drumming. So, on the eve of his coronation to make him the new Easter Bunny, E.B. sneaks away and hops off to Hollywood, where he hopes to make his dreams of being a drummer come true. The candy coated world of the Easter Bunny will make your mouth water, and E.B.’s adventure has just enough comedy and fun for the whole family to enjoy. 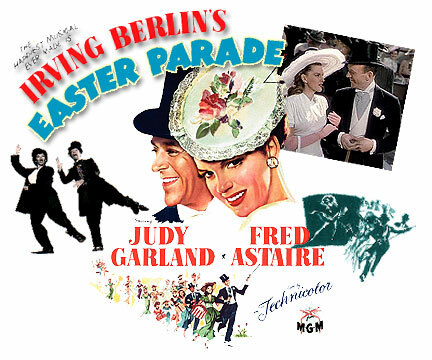 Easter Parade might be a hard sell for the younger kids, but Judy Garland and Fred Astaire deliver in this classic musical. Fun fact, the role of Don Hewes (Astaire) was supposed to belong to Gene Kelly, but he broke his ankle playing touch football. TOUCH FOOTBALL. Come on, Gene Kelly. Throw in an Irving Berlin score and the kids will be entranced in no time (if not they’ll succumb to a Peeps-fueled sugar coma about 20 minutes in, so win-win). Richard Burton plays military tribune Marcellus Gallio who commands the Roman unit that crucifies Jesus. In a dice game, Gallio wins the robe Jesus wore and is told it will serve as a reminder of his first crucifixion. Haunted by nightmares of the act he has participated in, Gallio slowly begins to believe the robe is having an effect on his life. Over time he comes to understand what Jesus was trying to achieve, and eventually converts to Christianity – much to the disgust of his peers and his father, an important Roman Senator. 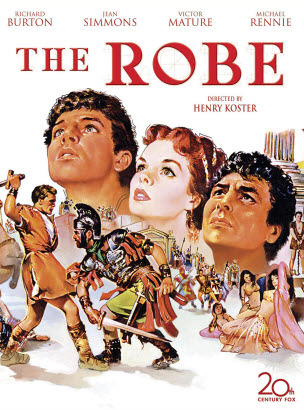 “The Robe” was also the first film ever to be released featuring the wide screen process known as CinemaScope. Told and sung by the great Burl Ives, The First Easter Rabbit tells a Velveteen Rabbit-like story in classic Rankin/Bass style. Stuffy the Rabbit is a favorite toy who magically comes to life and is given a very special job. 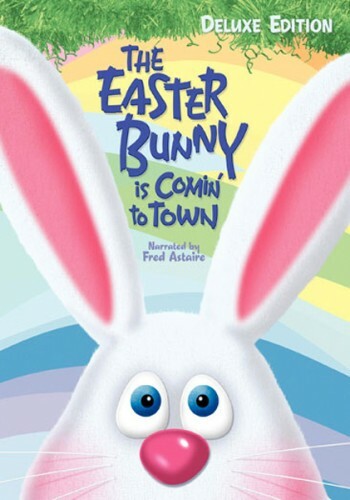 The cute and caring bunny is directed to journey to Easter Valley, a beautiful land where it is always springtime, and start a new tradition of delivering Easter treats to children. Unfortunatley, One cold-hearted villain does not want to see Stuffy succeed, and he tries to freeze Easter Valley and stop Easter from happening. With a little help from his friends and a lot of help from Santa Clause, though, Stuffy might just be headed down the Bunny Trail after all. The Mailman decides to stop another deluge of letters by answering questions about the Easter Bunny: Sunny, a baby rabbit found and adopted by Kidville (a town of only kids–even a kid mailman). And when Sunny goes delivering eggs to the nearby town (which he has to dye to fool Gadzooks, the mean bear on the mountain), he discovers that there are no kids in the town, and that the rightful (kid) ruler is being suppressed by his aunt. But the young king likes Sunny’s dyed eggs and jelly beans. So Kidsville, with the help of an old train engine, makes a few plans (and a decoy chocolate rabbit) to distribute them. When Mr. Nezzer tries to knock St. Bart’s church down to make way for his new amusement park, Easter Land, he is visited by a vision of the late Granny Nezzer. She tells him to expect a visitor. The visitor, a small angel named Hope, shows him the past, present, and future of Nezzer’s Easter, helping him see the error of his ways. 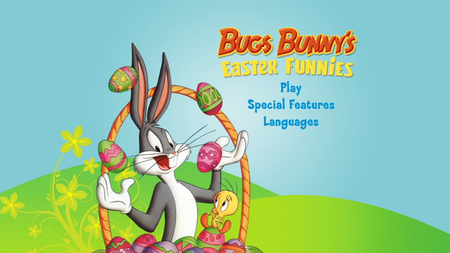 Enjoy six Easter episodes on one DVD. 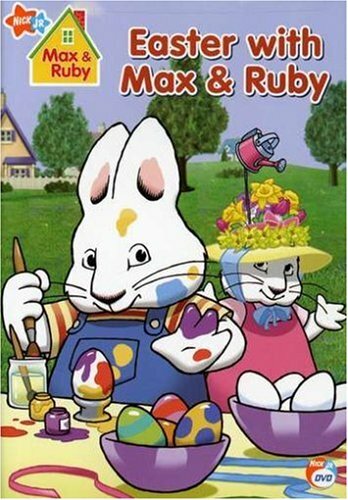 Easter with Max and Ruby is based on a series of popular children’s books by Rosemary Wells. Max and Ruby are siblings who manage to find trouble and adventure any time of year, especially Easter. Enjoy the antics of the loveable bunnies driven by sibling rivalry. Hello, Bugs Bunny? Easter Bunny? It’s so obvious. 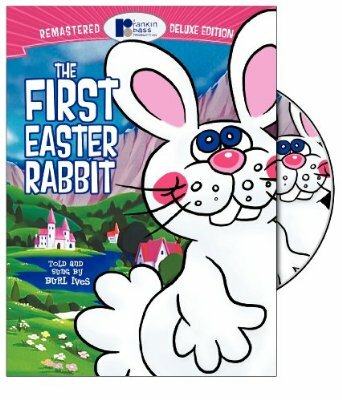 This “movie” is basically a clip show, using segues and fades to tie a bunch of previously released Looney Toon classics into an Easter story. If you know the original cartoons it feels kind of cheap and lazy — those cartoons were fantastic on their own. However, it’s still funny and clever, and a great way to introduce the kids to cartoons from back in the day. Actual “back in the day” may vary. 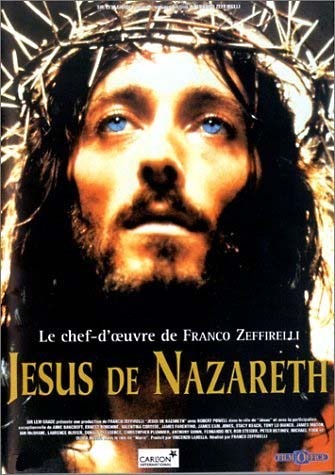 Italian director Franco Zeffirelli’s dramatic take on the life of Christ is a television mini-series produced in Britain. 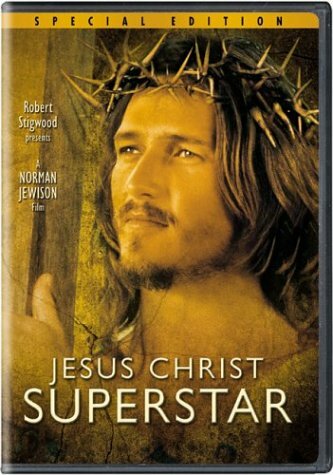 Robert Powell portrays Jesus alongside an all-star cast that includes Christopher Plummer, Anne Bancroft, Laurence Olivier, Claudia Cardinale, Ian McShane, Olivia Hussey, James Mason, Ian Holm and Anthony Quinn. 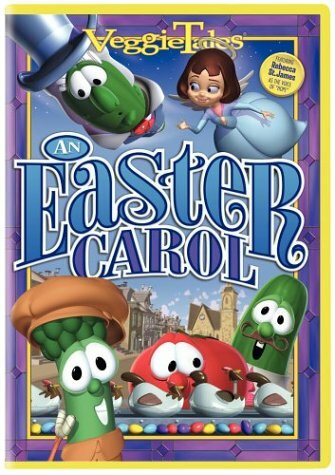 What is your favorite Easter movie? Share with us in the comment part if you like.